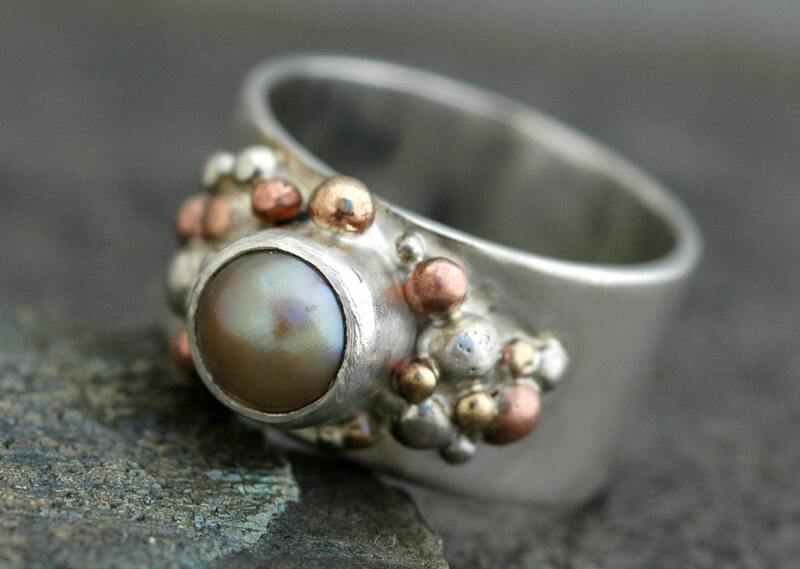 PLEASE NOTE: The exact ring pictured in this listing has been sold. 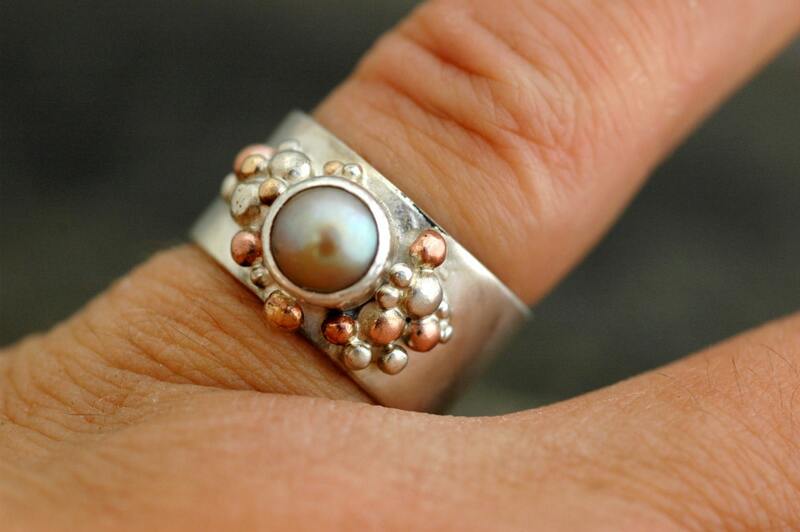 The photos are used to give you an idea of how your custom-made ring will appear once built. 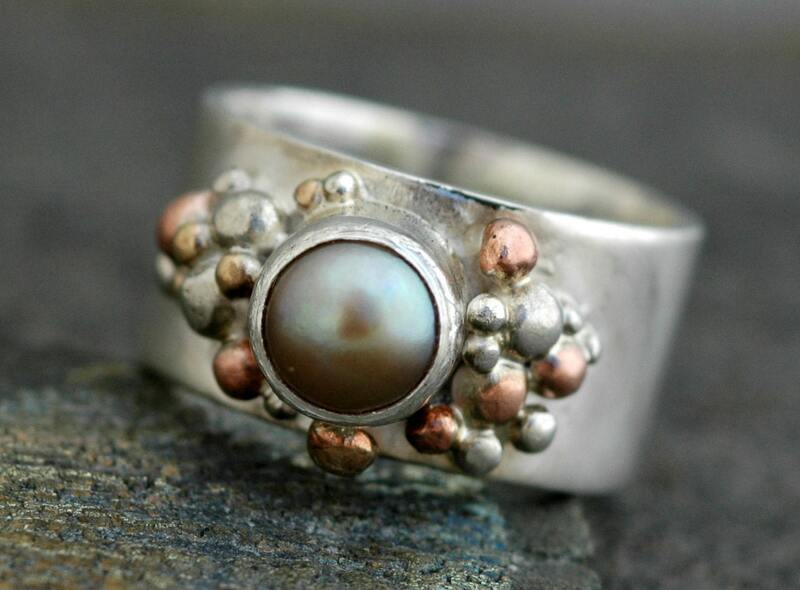 The pearl is nestled in a burst of mixed-metal granulation. 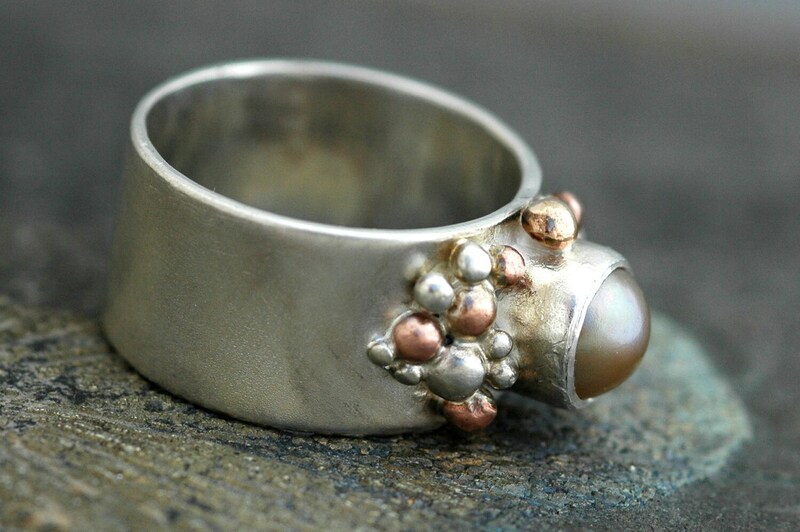 I have used sterling silver, copper, and brass to create the little balls on this ring. 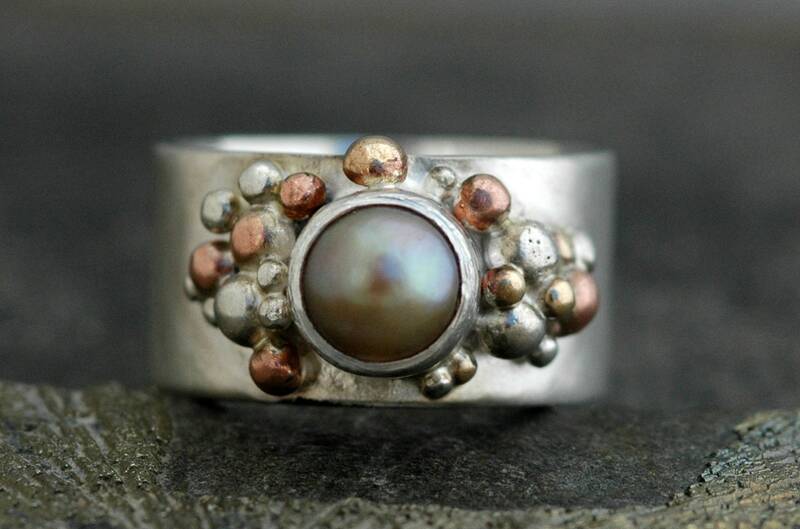 ...or any other texture you see in my shop.